Amish Spirit markets and sells hand quilted quilts made by Old Order Amish quilters who are members of a small community in rural Pennsylvania. When someone uses the term “handmade quilt” or calls a quilt “handmade”, they are saying nothing. All quilts are handmade! Every quilt is made by hand. The quilter might use a sewing machine to piece or to quilt a quit, however, these are not technically mass produced machine made quilts. They are handmade quilts created by a person who is enjoying the process of making a quilt. By well made, we mean that the quilt’s top and back should be dye fast quilt grade cotton (not scrap cottons for dresses, curtains or anything else). Quilt grade cottons will hold stitches, the cotton will not shred or fray and the stitches will remain stitches (rather than loosen, pop or slip) and keep the batting in place. 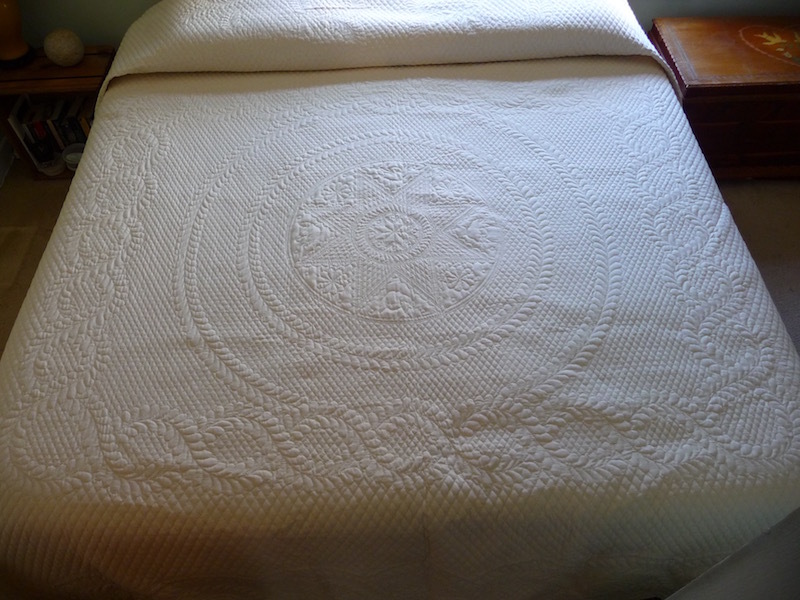 The batting of a “good quilt” should be cotton, polyester or a blend and from a reliable manufacturer. 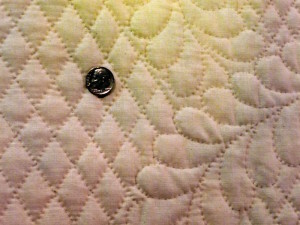 If your “good quilt” is hand quilted, there should be no less than six stitches per linear inch. As mentioned above, hand quilted quilts are what our Amish friends make. This is a quilt that’s stitched, quilted and bound entirely by hand. There are no machines used in the quilting at all. Each stitch is distinctive – different from the one before and the one after, both in size and in distance. Want to better examine the hand quilting? Turn the quilt over and look at the back of it. There are some hand quilted quilts that are commercially made. They are units of merchandise that are made quickly and inexpensively. The quilting tells the story. 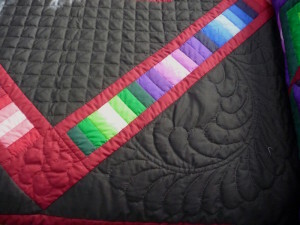 You’ll typically see only 3 to 5 stitches per inch in a commercially “hand quilted” quilt. We generalize here, but good quilting and good quality quilts go hand in hand.